Choosing new wardrobes isn’t something you’re likely to do many times in your life. This is why it makes sense to go the extra mile when you invest in wardrobes for your new home or renovation. Chosen properly, your wardrobes will form an integral part of your home for decades to come, not just in terms of durability and functionality, but in the aesthetic sense as well. At Lifestyle Wardrobes WA we firmly believe that wardrobes are a long-term investment. Our expert craftsmen will work with you to find the perfect match for your existing décor and available space, and deliver quality results using the very finest materials. While there may be a temptation to head down to the furniture store and pick up a freestanding wardrobe, the results are often mediocre at best. In an age of elevated property prices, we often don’t have the floor space we might ideally like in our homes. Custom made wardrobes can make the very most of your existing space and take care of your individual storage requirements in ways that other storage solutions cannot. Our expert wardrobe designers know how to make use of every nook and cranny, delivering seamless designs that look great. We put every inch of space to use, both vertically and horizontally, with a range of customisable features such as sliding or hinged doors, drawers, hangars, shelves, shoe storage and even vanity areas. Whether you are building from scratch or refurbishing an older home, we can build wardrobes units that work seamlessly with your preferred décor. From warm wooden finishes for the traditional look to audacious modern flourishes, we have an exhaustive range of designs and materials to complement the look of any property. The choices aren’t just limited to the materials used for the doors and shelving, you can also choose from different types of handles (or no handles if you prefer), various lighting options and a whole host of other features that can help you achieve a truly unique look for your living space. We take a lot of pride in what we do. Shoddy workmanship and low grade materials simply aren’t a part of the Lifestyle Wardrobes ethos. We have spent years growing a service that our customers can trust and firmly believe that we provide the highest quality custom wardrobes in Perth. All of our designers and installers are fully qualified and all installations are backed by a 10-year guarantee. From first contact to final installation we provide the very best in customer service. You can drop into our Wangara showroom to check out our designs and discuss your options with our friendly team, or we can visit your home for a free measure and quote. All home visits can be made at a time of your choosing, including on evenings and weekends. We will also bring catalogues and samples of all the latest styles, colours, and finishes, so you can find the perfect match for your home. We are always on hand to answer any questions during and after the installation process. We understand that you will be using your wardrobe space virtually every day of your life so we ensure it is designed and built to suit your habits, tastes and needs. Perhaps you have a penchant for shoes? No problem. We can fit extra shelving for your favourite kicks in your new wardrobe. Or maybe you need a space to store your golf clubs? We can do that too. Walk in Wardrobes – Whether you have space to burn or you want to make better use of a small alcove or nook, we can design and build complete walk in wardrobes tailored exactly to your needs. We combine features such as drawers, shelving, hangars, racks, corner units and even seating to create a practical and stylish dressing room for your home. Built in Wardrobes – We have been designing built in wardrobes for many years and know exactly how to get the most out of your available space. From wall-to-wall wardrobes to storage solutions for small recesses, we custom fit to your exact requirements. Hinged and Sliding Doors – If you are not short on space and/or you prefer a more luxurious, traditional look in your home, we offer a variety of attractive hinged door wardrobes with a choice of finishes and materials. For tighter spaces our sliding door wardrobes can offer a more modern, urban look and come in a variety of attractive designs using mirrors, coloured glass and other finishes. Drawers, Shelving & Hanging – Our custom wardrobes look great on the outside and are completely versatile on the inside. A range of drawer sizes, adjustable shelving, hanging rails and other features can be installed in any configuration of your choosing. 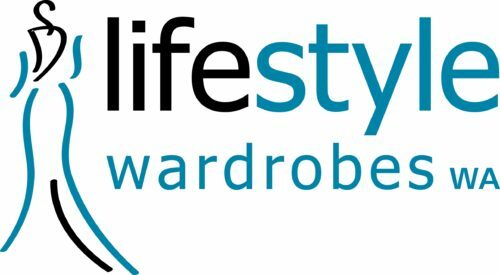 At Lifestyle Wardrobes WA, we are committed to designing, building and installing the finest quality custom wardrobes for homeowners in Perth and surrounding areas. Drop into our Wangara showroom, call us on 08 9200 4380 or fill out our contact form to schedule a free measure and quote today.